Ski all inclusive in Les menuires : compare ! All-inclusive skiing trips to Les Menuires can be enjoyed in the heart of the Trois Vallées ski area, where you will be able to enjoy beautiful skiing experiences from a dynamic resort. The ski resort of Les Menuires gives you access to 36 ski lifts (including 15 chair lifts). 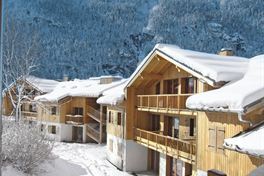 Les Menuires is a functional resort where everything is done for the pleasure of the skier. Created in the 60s, it presents a contemporary architecture, different according to the neighborhoods. Les Menuires resort is at the heart of what is the largest ski area in the world. By going to Les Menuires you will be in direct connection with Val Thorens but also with the other stations of the "3 Valleys", in this case Courchevel, Méribel and La Tania. 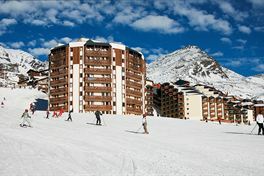 Ski Express offers all inclusive ski hire in Les Ménuires and allows you to compare all the offers! 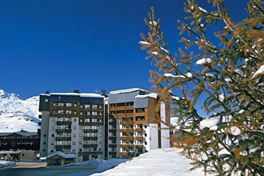 In order to find your all inclusive stay in Les Menuires you should compare the offers of dozens of ski dealers to find the best deals. Les Menuires / Saint Martin de Belleville total 160 km of pistes and 33 lifts. 76 tracks are waiting for you including 6 black, 24 red, 34 blue and 12 green. Also on the program, 1 BK park and 28 km of cross-country tracks. The 3 Valleys total 600 km of pistes and 174 lifts, 38 green, 124 blue, 115 red and 32 black. The entire area is covered with snow machines, thus ensuring skiing late in the season, even in case of lack of snow (opening from mid December to the end of April).